Oh. Em. Gee. Have you guys heard? The holidays are coming!! Are you all ready? I most certainly am not. It's been non-stop for me at work and on the home front these last two weeks and I think it goes without saying (but I'm saying it anyway) that I'm exhausted each night by the time I get my kiddos in bed around 9 p.m. Each and every night, I'm so bummed at just how pooped I am once they're all tucked in because I would love to have a couple hours of me time. Truthfully, I just can't hang anymore and I don't last much longer than they do when it comes to dozing off lately. I'm happy to report, however, that after this week it slows way down for me at my day job. Heaven knows, I'm super thankful for that! The other thing I'm thankful for is my recent infatuation with mocktails. Yes, you read that right...MOCKtails. If you know me personally or you follow me on social media, you know I love to enjoy some wine or maybe a quality beer (or two) on my back porch when my schedule permits. When it comes to my drink preferences at "happy hour", wine or beer are pretty much all I drink as I don't really care for liquor. It's just never been my fave. To be fair, back when the 90's happened I was right there with the rest of the college-aged kids of the day sloshing back those awful, dishwater-colored kamikazes (those nasty things were always on special, right?) or far too many shots of Jose Cuervo at times. But, thankfully, I outgrew shots a very long time ago. In the present tense, if we go out to eat at a Mexican restaurant, I might order a top-shelf margarita or on the super rare occasion that we get to take a date night, I might order a house specialty martini just to try something new. Bailey's on ice or a good Irish coffee?... well, maybe. But, when it comes to alcoholic beverages, that's pretty much the extent of what I enjoy. Needless to say, neat or straight up servings of anything are absolutely out of the question for me. I do, however, have a great love for many of the flavorful, fruity concoctions that are typically served mixed with liquor in cocktails. For that reason, I prefer to make mocktails. I get to enjoy all the flavor, but no backnotes of liquor to muddle it up for me. These golden apple cider-ginger mocktails are so refreshing, you'll never miss the booze. I know I don't. I also love that they are a drink that the whole family can enjoy...and in cute stemware too! I've got more posts about some of my other favorite mocktails coming up through the holiday season, so please stay tuned for those recipes. 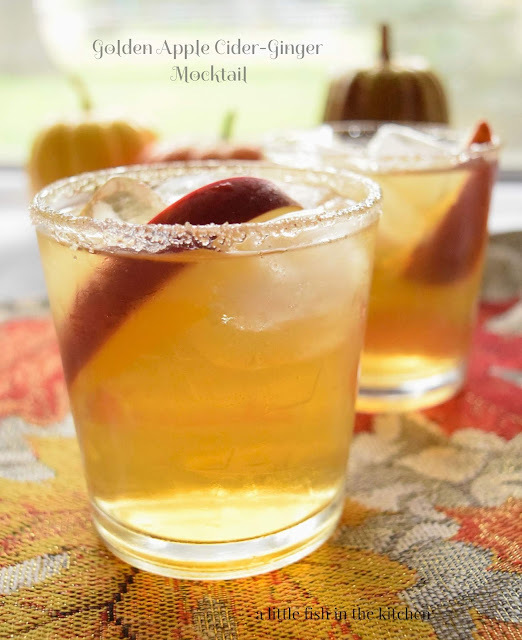 However, if you like to make cocktails, my friend John over at the blog Kitchen Riffs has a fabulous drink recipe index for you to browse through for inspiration. I really love reading his posts about historic cocktails! This is not a sponsored post, but Fever-Tree Ginger Beer is an amazing addition to this golden-colored drink. If you've never tried ginger beer, I think you are in for a pleasant surprise. It has a much more intense, natural ginger flavor than ginger ale and just a little splash of ginger beer will go a long way. At my grocery store it's located with the other non-alcoholic drink mixers on the wine and beer aisle. 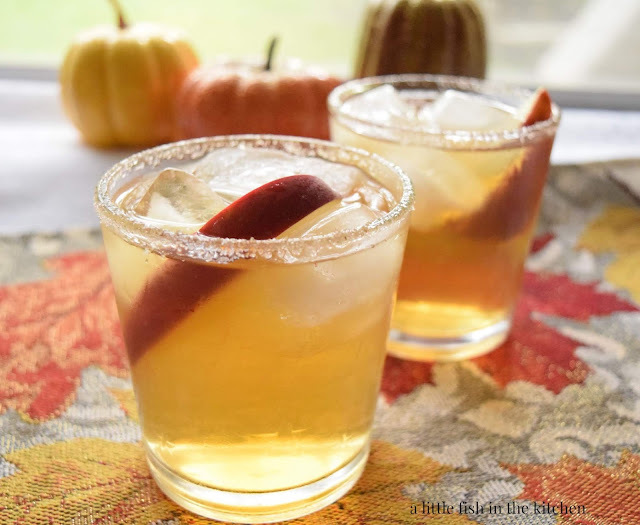 But, if you're unsure about ginger beer or you don't like it, you can sub ginger ale in it's place to make this this crisp, golden apple cider-ginger mocktail. 1. In a small plate or saucer, combine sugar and cinnamon. Use a lemon wedge to wet the rim of a cocktail glass and dip rim of glass evenly into cinnamon-sugar mixture. 2. 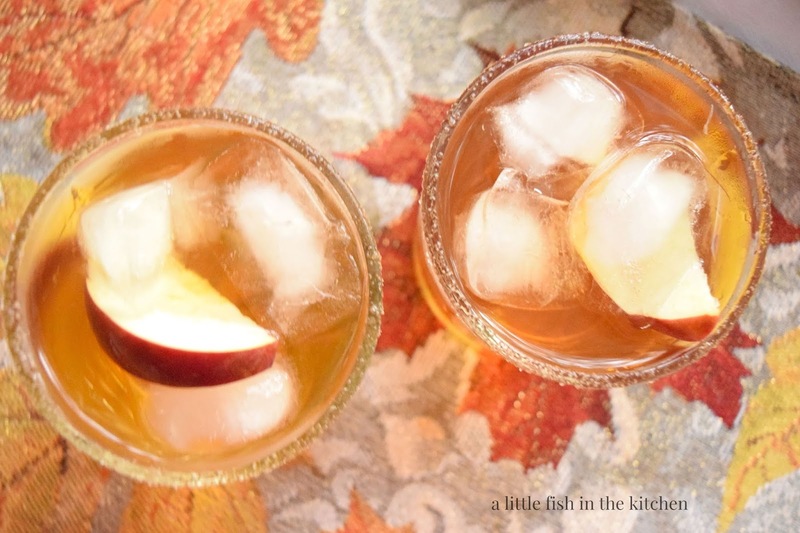 In a small pitcher or carafe, combine chilled apple cider and ginger beer or ginger ale. Pour apple cider mixture into the prepared glasses up to 2/3 full and top with ice cubes so the liquid fills up to the sugared rim. Garnish with an apple wedge, if desired. Have never had a ginger beer, but I do LOVE ginger...this is a lovely drink! Just what I need right now. Looks so good. Definitely needed this time of year and sounds wonderful. Mocktails are such a good idea! Too often the wine flows a bit more than usual, and a flavorful drink like this is just what we need. Happy Thanksgiving! Your drink sounds perfect for the holidays. 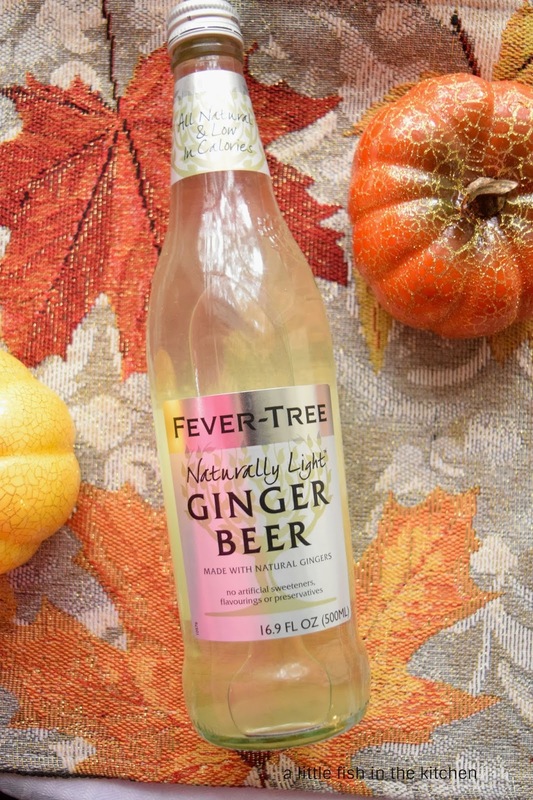 I've tried some of Fever Tree's other products but not their ginger beer, they are all good. Gosling's is another good brand to try.